Follow my store to hear about new products. 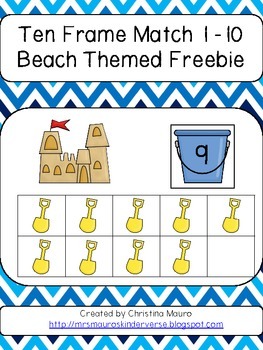 Hope you enjoy this ten frame activity! Directions – Print, laminate and cut out ten frame mats and cards. Students will match the bucket to the correct shovel amount. There is a recording sheet for your students to use.